The interesting part is how Nikon will price this new camera - the SL1 body costs $649, the latest D3200 kit is currently priced at $546.95, while D3100 kit currently sells for $446.95 and a refurbished D3100 kit goes for $349. How good or cheap must the new camera be in order to make a difference? I do not like the new strategy of "accelerate shifting newer products in the entry class of DSLR". Note that Nikon is not complaining about slow D4 or D800 sales - so why not concentrate on that segment of the market instead? 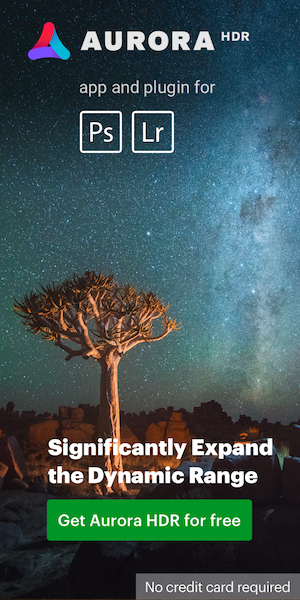 Yes, it is a smaller target audience, but Leica for example, is able to make a living by selling expensive high-end equipment to a small group of enthusiasts. Why not concentrate on serious amateurs and pros that will actually buy Nikon products? 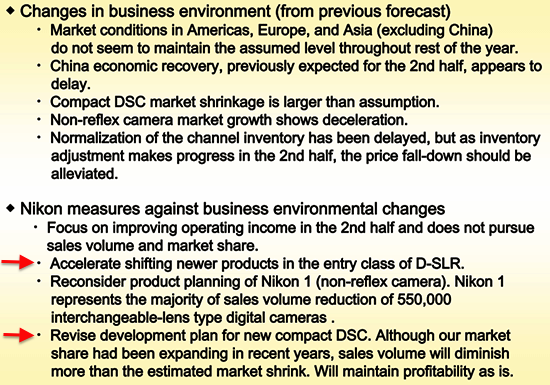 Now the more interesting/mysterious part: in addition to reconsidering the Nikon 1 product planing, Nikon also mentioned a "revised development plan for new compact DSC (digital still camera)". I don't think they are talking about new simple point and shoot Coolpix cameras, because we already know that they are a dying breed. In the past few weeks I started receiving information about a new camera, but I am still not sure what exactly it is going to be - some tips point to a new mirrorless APS-C based camera, other even suggest a simplified retro-styled full frame camera without video and other high tech gimmicks (yes, why don't we try this Nikon?). If anyone has more information on that new camera, please contact me. Like I mentioned before, I also expect a new D4 type camera (D4x?) before the end of the year or in early 2014 that could even have a 45MP sensor inside. Basically we should see three major camera announcements in the next few months in addition to any new Nikon 1 and Coolpix products. Sorry, nothing on the D400 for now (no surprise again since there seems to be a "zero chance of a 7D Mark II in 2013"). This entry was posted in Nikon D4s, Nikon Df and tagged Nikon D2300, Nikon retro full frame camera. Bookmark the permalink. Trackbacks are closed, but you can post a comment.